Looking for the easy button for a consistent, cohesive look with your brand? How about developing a professional relationship with designers you know + trust, and actually want to see you succeed in your business? This is the answer! We’re happy to offer multiple options for on-going services, bundled together so that our clients experience savings. We’re even happier to continue working with you + helping your business achieve success. Our business is to help your business! This listing is for on-going graphic design services*, and we’ve bundled together multiple designs so that you can experience some savings, rather than purchasing one-by-one! Easy peasy! Select the bundle option that works best for you, and we’ll get in touch with you when we receive your order. We’ll provide you with a link to our request form, in which you can provide the pertinent information we’ll need to get started. When you submit the form, we’ll be notified, and we’ll get to work on your design. 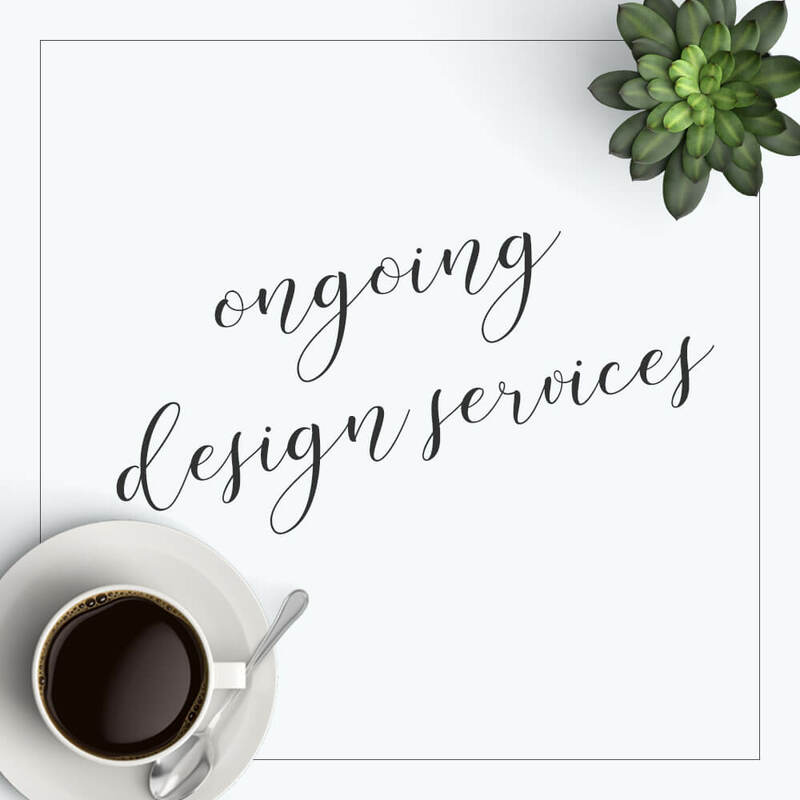 Then, any time you need additional designs, simply go back to the form + submit your new request! You should expect to see proofing within 1-2 business days of submitting your form, so please plan accordingly! Product packaging + labels are not included in on-going graphic design options, but we are happy to quote for these items. On-going design services do not include design for items that you plan to resell, such as t-shirt designs for your t-shirt business. All items must be used within 12 months from the date of purchase. Unfortunately, we are unable to refund any unused portions of your order.